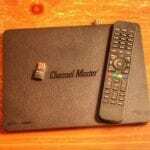 The Channel Master DVR+ can give you a cable TV like experience, without the recurring monthly cost. Let’s take a look at this over-the-air DVR. It’s easier than ever to drop your expensive cable subscription. 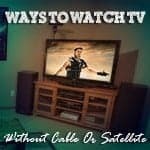 So how you can cut the cord, save some money and still watch all your favorite shows? 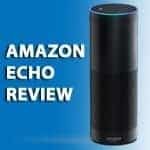 I purchased the Amazon Echo Bluetooth speaker and virtual assistant shortly after it launched. So how does it sound, and Is it worth the money? 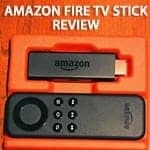 A couple months ago I got an email from Amazon allowing me to pre-order their newest video streaming device, the Amazon Fire TV Stick. Here’s my review. 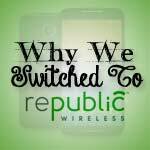 Our family has been extremely happy with Republic Wireless cell service and just ported our existing mobile phone numbers over to the service. Here’s why. If you canceled your expensive cable TV package, would you miss your DVR? Now you don’t have to. The new Tablo TV over-the-air DVR is a cord cutter’s dream. 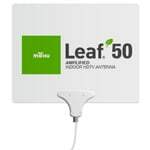 If you’re planning on getting away from paying for cable TV, the small up front investment for a digital HDTV antenna like the Mohu Leaf only makes sense. 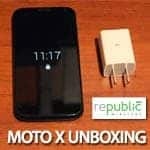 If you’re looking for an amazing phone, with a great service, I’d highly recommend checking out the Moto X from Republic Wireless. Here’s a full unboxing and review! 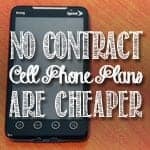 Prepaid and no contract cell phone plans are almost always cheaper, as long as phone upgrades are kept to a minimum. Cable and satellite TV bills continue to rise. It’s time to cut the cord, and find cheaper video content options. Here’s how we do it. 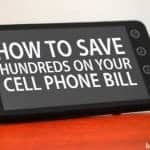 A lot of people end up paying for a premium cell service that is not needed when they could save hundreds by using prepaid cell service.